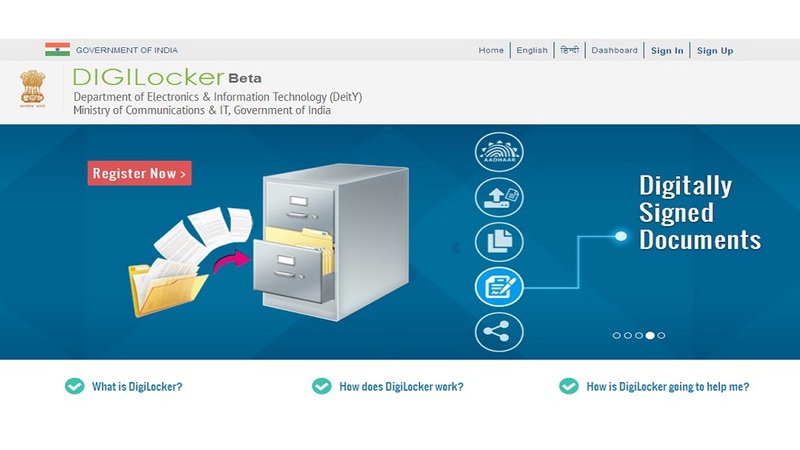 Step 1: Login to http://digitallocker.gov.in, Enter Aadhaar Number with captcha [verification number shown], after insert aadhar card id number, a OTP send to already registered number and email address. Step 2: Enter OTP and see the DASHBOARD to upload your current documents online. There are dropdown menu to all kinds of documents you wish to save. After successful of upload process, if you want you can share documents to any email id. You can e-sign the uploaded document, which be used as official digital signature on documents. Step-3: Once above step is successfully done, user would be successfully registered and following screen would be displayed. NOTE: The system will allow user to store document of file types: PDF, JPG, JPEG, PNG, BMP and GIF.